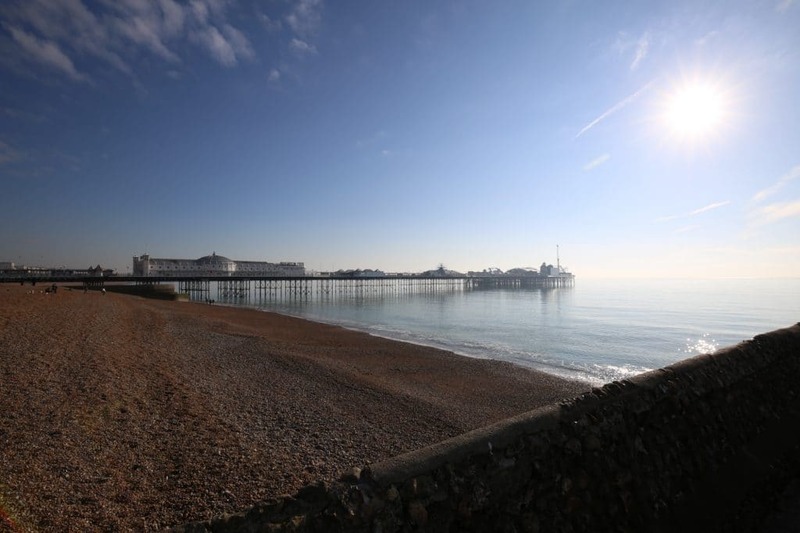 10 Things to in Brighton with Kids - Free ideas, eating out & attractions! There’s plenty of things to do in Brighton with kids! Oh we do like to be beside the seaside, and with your little ones in tow, it can be even better. Brighton’s reputation as a party town does not just apply to adult fun. There are plenty of things to do in Brighton with kids, many of which are also great fun for parents as well. 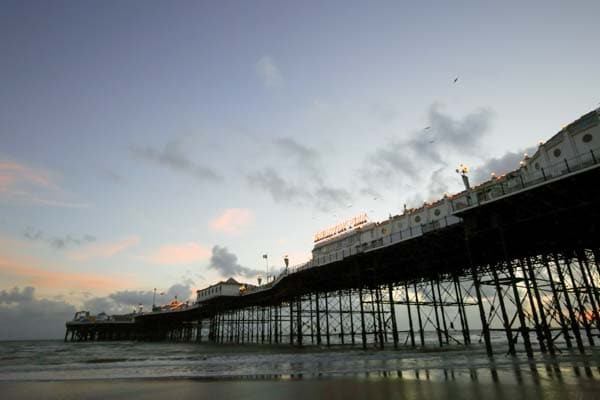 As a seaside town, Brighton is clearly a draw when it comes to day trippers and weekends away with the family. The beach, seafront and pier have enough to keep little minds occupied, but there is much more to be explored. Take an underwater adventure or travel back in time and then take a trip into the sky to view the city from above. With so many child-friendly restaurants in the city, you will never be stuck for things to do in Brighton with kids. In an age of sedentary and technology-based entertainment, it can be all too easy to forget about the pleasures that are right on your doorstep or just a short journey away. With this in mind, we felt it was time we put together a list of 10 things to do in Brighton with kids, just in case you felt stuck for ideas or are new to the city. All of these activities will make for an ideal day out on the south coast, and we have dropped in some of our favourite child-friendly restaurants in Brighton because we are a food website after all. Well, we had to start with this one really. Brighton’s Palace Pier is arguably the city’s finest tourist attraction, and with good reason too. The Grade II listed structure is 525 metres of great activities for kids jutting out into the English Channel. The two pavilions house a mind-boggling array of arcade machines and the eye-catching fun fair at the far end has plenty for kids of all ages to get excited about. When all the bright lights and spinning around get too much, you can enjoy some quality fish and chips at the Palm Court restaurant or enjoy a drink at Horatio’s or the Victoria Bar. An array of fast food stalls are available for those who cannot drag themselves away from the fun for a sit-down meal or drink. There is enough on the pier to keep your little ones amused for a whole day, just remember to bring some change. Inextricably linked to the pier are the beach and seafront, but they deserve to be mentioned separately. Brighton beach has been popular since Victorian days, and whilst most of the attractions have changed, one thing remains, the hoards of people who flock there on a warm day. Sitting on the pebbles and going for a paddle remain a timeless source of entertainment, especially with an ice cream or fish and chips. The Brighton beach carousel harks back to the Victorian age, with other beachside entertainment such as the zip line being a little more modern. Along the seafront, there are plenty of shops and food outlets to suit all tastes and budgets. You cannot beat a day out at the beach and Brighton beachfront is hard to beat. Keeping things watery, with a greater focus on what is going on under the surface, a visit to the Brighton Sea Life centre is a must for any trip to Brighton. The aquarium was built in 1872 and the stunning underground facility is an attraction in its own right. Inside your children will be transported to an underwater world full of colour and all manner of aquatic life. This is a fun and educational activity that will ignite their imaginations and open their eyes to a previously unseen world. With a variety of ticket options and exhibitions there is plenty to choose from, and as this is an indoor activity it is ideal for those typically wet summer days. We love the Sea Life centre and are certain that you will too, just be sure to have eaten your fish and chips before visiting to avoid any difficult conversations over lunch. 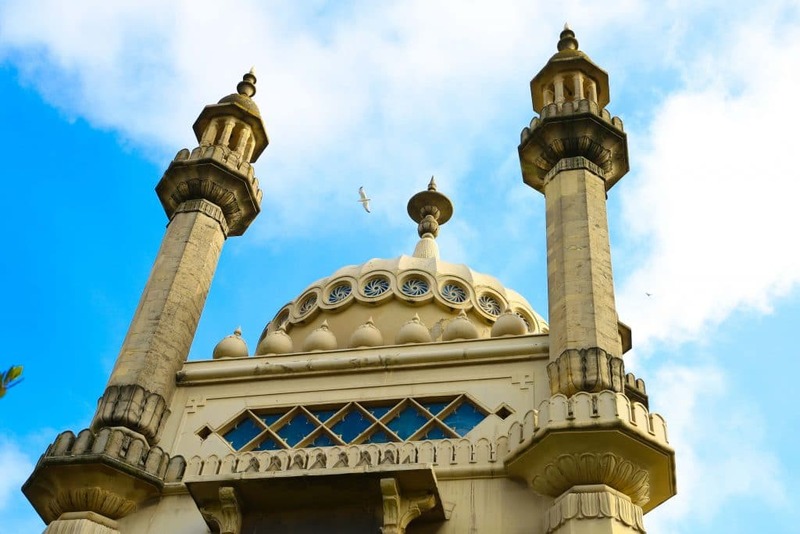 The Royal Pavilion is the most iconic building in Brighton and one that is instantly recognisable. Once the pleasure palace of King George IV, it is now a huge tourist attraction and an exotic glimpse into the history of the city. This may not be every child’s cup of tea, but for those with an interest in history and impressive buildings, it will be a sure-fire hit. The Pavilion offers a child-friendly tour and audio-guide in addition to other family-friendly facilities. The colourful and varied rooms will keep those inquisitive minds occupied, and the family tea room means that there is cake to reward them for their good behaviour. Brighton Pavilion is one of the most iconic buildings in the UK and must be seen to be believed. As we have reached the mid-point of our list, it is about time we had a quick break for lunch. We asked the Brighton public to vote for their top child-friendly venues in the BRAVO awards and you can find the 2017 winners here. As you can see from the list the options in Brighton are as varied and interesting as its attractions. With everything from Belgian fries or traditional Neapolitan pizza through to vegetarian cuisine and superb cafés, Brighton’s food scene offers a plethora of child-friendly eateries. The Brighton public has become a discerning lot thanks to being spoilt for choice these days, picking any one of these venues for your lunch is sure to result in a delicious pit stop for any fun-filled day. You may have noticed that Brighton beach is a little bit pebbly for the majority of beach sports, pebble tower building aside. Well, there is a small oasis of sandy fun to be had on the Eastern side of the pier at Yellow Wave Beach Sports. The only permanent beach sports venue in the UK, Yellow Wave run plenty of kids activities throughout the year and during the holidays. 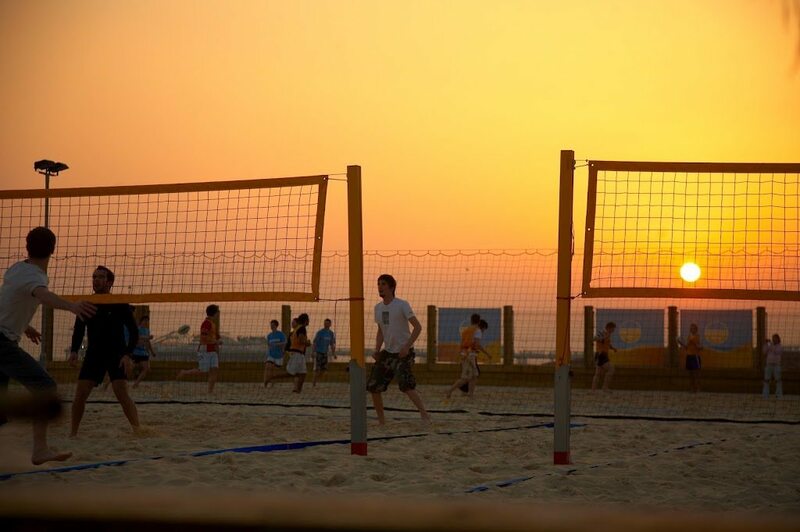 Ideal for all ages and abilities, this could be the start of your child’s beach volleyball or football career. 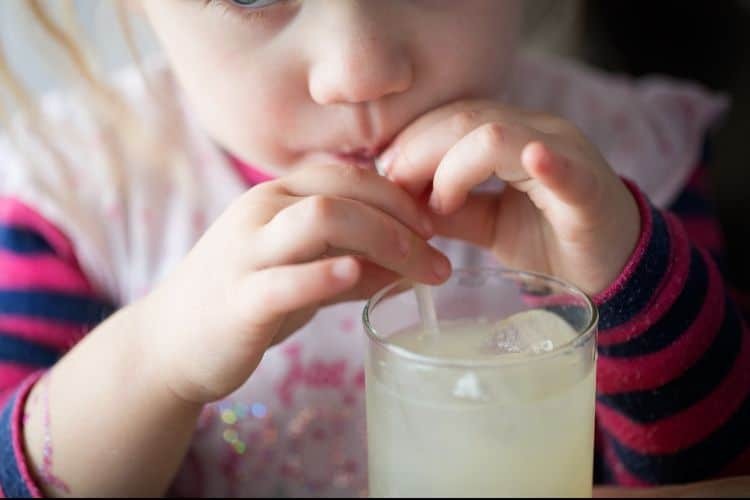 The small sand play area is ideal for very young children, and the onsite barefoot café ensures that parents can enjoy a drink whilst the children are busy tiring themselves out. Kids are welcome to come along for a single session to see if they like it, and if you are a Brighton local their weekly kids’ club sessions are a perfect way to encourage the little sportsperson in your home. Brighton is not just about the sea and beach. The city benefits from a number of glorious green spaces and has the stunning South Downs right on its doorstep. To the north of the city you can pay Stanmer Park a visit. 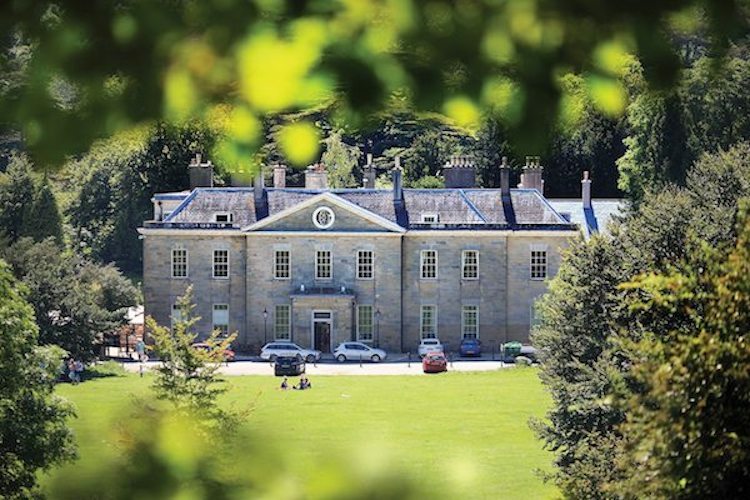 Here you will find acres of park and woodland to explore and play in, not forgetting the stunning Proud Country House where you can enjoy an afternoon tea or meal. In the centre of town you can find The Level which has been redeveloped with a fun children’s play area and skate park. The Velo café serves great food and drink and the Loving Hut is one of the Brighton’s favourite vegan spots. Finally Preston Park on the edge of the city is a large green space that is ideal for a picnic and kick about on a sunny day. Brighton’s parks and spaces demonstrate the city’s green credentials go beyond its political sensibilities. 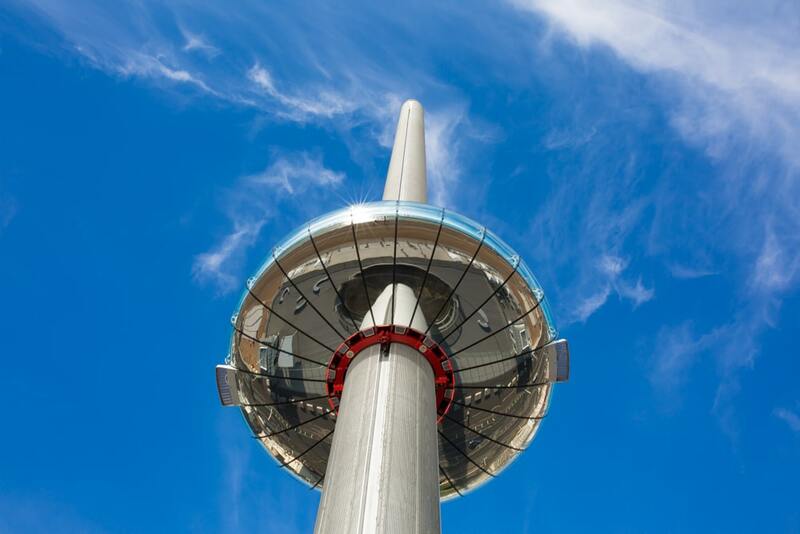 One of the city’s newest and most eye-catching attractions has got to be the British Airways i360. The first of its kind, the “vertical pier” transports visitors 138 metres into the sky offering 360-degree views of the city and seafront. It is the world’s tallest moving observation tower and was designed by the same architects responsible for the London Eye. The glass viewing pod gently lifts visitors into the sky providing views along the south coast and over the South Downs, you can even spot the Isle of Wight on a clear day. Each “flight” takes around 25 minutes and is unlike any other attraction in the city. The onboard sky bar offers refreshments and once back on terra firma you can eat at the West Beach bar and Kitchen or just explore the gift shop with plenty of Brighton and British Airways inspired gifts. If the hustle and bustle of Brighton beach and town centre are a little too much, why not head down to Brighton marina where you will find plenty to keep the kids occupied. 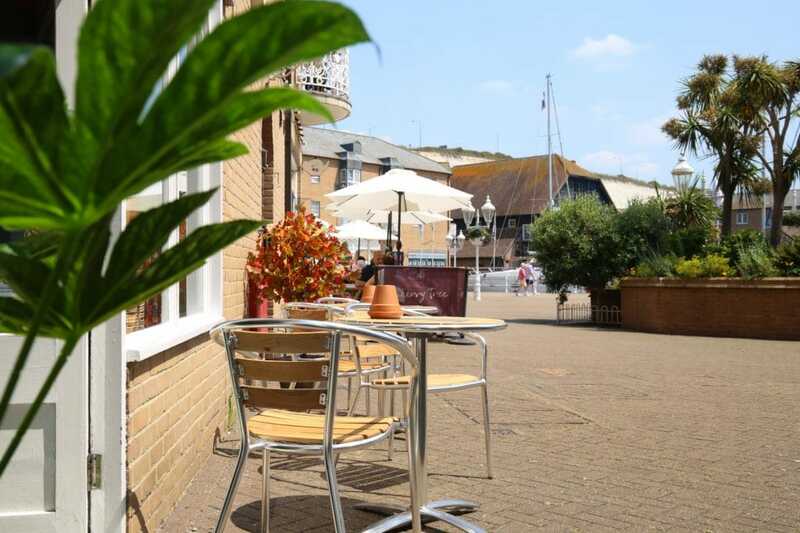 Just a short drive or bus ride from the city centre, with free parking for drivers, the marina is packed with activities and restaurants that are incredibly family friendly. Here you will find a multiplex cinema, bowling arena and other activities such as dinosaur themed neon crazy golf. At the marina, you can walk around the sea wall or even take a stroll along the undercliff if you fancy a little more fresh air. Inside the marina, there are many big name eateries and independent venues to enjoy which have family-friendly dining at their core. Brighton Marina is one of the city’s more family-friendly areas and one that is often overlooked by those not in the know. Well done on being a super-parent and keeping your little loves busy all day, now it is time for some well-deserved dinner. Brighton’s restaurants have been attracting national acclaim, but they have not deserted families in their quest for recognition. Here at Restaurants Brighton, we have a pretty decent handle on what is going on in the city. 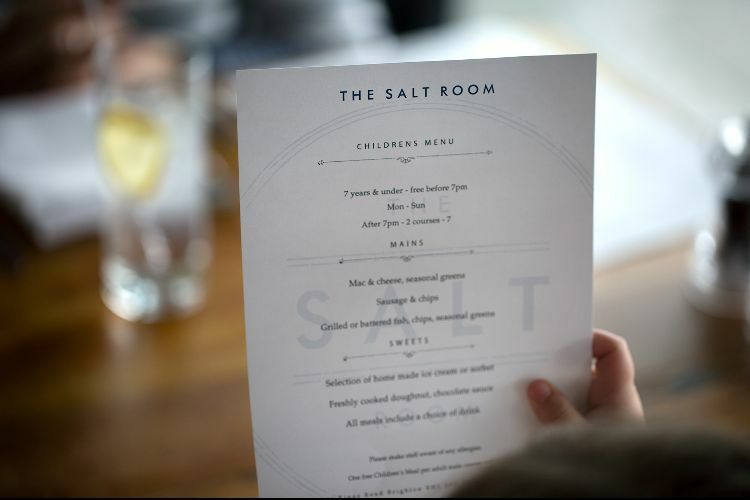 So to save you time we put together a list of the best child-friendly restaurants in Brighton and the surrounding area. 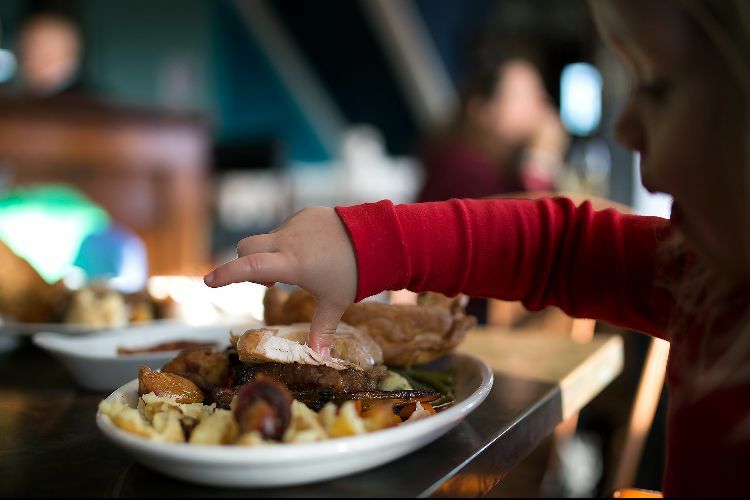 We have featured everything from informal eateries and child-friendly pubs through to some of the city’s top restaurants that offer family-friendly menus and facilities. It is time to reward yourselves for a great day out and top everything off with a meal to remember. Bon Appetit.